Easier birth with fetal positioning. Use this site and videos to improve fetal position (breech, transverse, posterior) and birth. Reduce the chance of cesarean birth. "Putting current evidence-based information into the hands of communities, so they can make empowered choices." Pregnant & Postpartum in PDX is an all-inclusive group for expecting and postpartum families in every capacity. Feel free to ask and share any and all things related to pregnancy and postpartum parenthood. 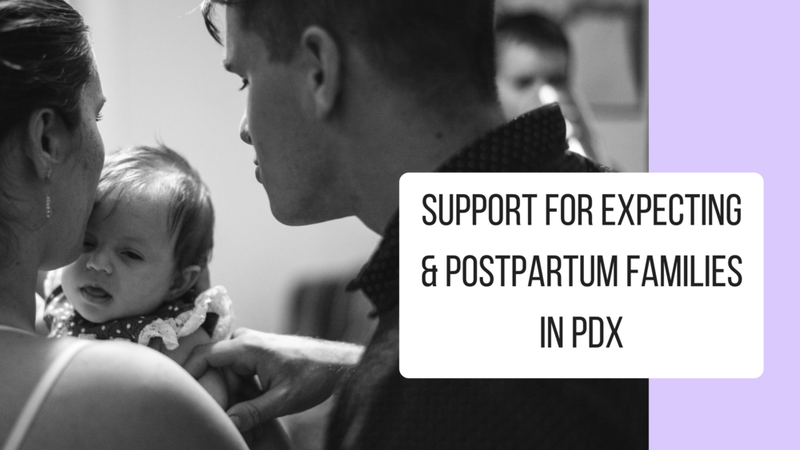 The focus of this group is providing support to fellow pregnant and postpartum families through advice (both anecdotal and informational), recommendations to Portland area resources, and emotional support. "We’re growing in ranks. We’re tired of seeing our families suffer from unnecessary illness and tired of having to fight so hard just to eat real food. You’ll know us by the coconut oil on our counters and the chia seeds in our pantries. By the bentonite clay in our bathrooms and the charcoal on our teeth. We often sleep on organic mattresses and have salt lamps in our bedrooms... Most importantly, we’re here to make sure our kids grow up in a healthier world. One not poisoned by plastic chemicals and toxic foods. We’ve got our elderberry syrup and turmeric tea and we aren’t afraid to use them." Natural. Healthy. Happy. Whether you’re pregnant, caring for your baby, interested in gentle parenting, or just want to be more natural yourself, you’ll find resources here to help. Vegan Pregnancy and Parenting™ and all of its entities is a community of passionate people who have come together with the goal of spreading compassion for animals as well as humans. Welcome to Breastfeeding Mamas of Portland, a Facebook destination for nursing, pumping, soon-to-be mamas and extended/toddler nursing mamas. Ask questions, offer support, connect. A lot of us can't make LLL meetings, so an online locale is here! Invite your mama friends and let's make this a cool place to visit. Welcome! Portland Mamas is a space for parents in the Portland, Oregon area to come together and share resources, ideas, and support. Portland Mamas started with a small group of moms in the area and has grown to thousands of active members. A comprehensive guide to health during pregnancy including prenatal care, facts about prescription drugs, common complications, labor, alternative birthing methods, and breastfeeding.